Personalize your watch by changing the bracelet whenever you want with this beautiful sand leather bracelet. Simplicity, modernity and elegance will define all your looks. This bracelet is compatible with the Beaucour watches and all men's watches with a bracelet width of 20 mm. 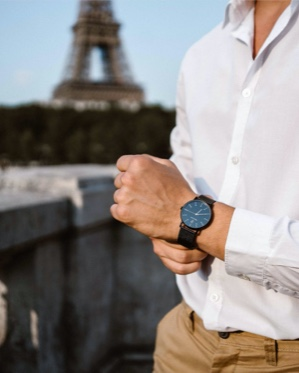 This men's watch bracelet allows you to change the colours and pleasures according to your desires thanks to its black buckle which will perfectly match your dial in the same colour. Change the look of your Beaucour watch with this sand leather bracelet that will also fit each model with a 20 mm wide bracelet. Your Pierre Lannier leather bracelet will be delivered in its case in the brand's colours. You bought WATCH BRACELET BRA016A2043 SAND LEATHER 20MM on .